By now everyone is well aware that How to Destroy Angels will not be the next big thing in music. Their initial EP drew some interest with a good song and an amazing song with filler. Between another EP release and now Welcome Oblivion, the group’s first full length release, the offerings are a mixed bag. Naysayers may classify this group as just a Reznor side project and I personally think the apple hasn’t fallen far enough from the Ghosts tree to be excited about. That said, Welcome Oblivion should be approached for its own merits. The album starts a bit derivative of Nine Inch Nails’ Ghosts, but not to the level of the previous release An Omen. There is some music to be had here but it’s the type to be relegated to the background, probably a result of working on The Social Network and other cinema projects. That is to say, nothing is especially impressive. Then the middle of the album surprises with some catchy hooks. Too Late, All Gone doesn’t start strong but has a great chorus and I’ve grown to appreciate the verses. How Long? is perhaps the poppiest of the bunch- short, sweet, and a bit different. Finally, Strings and Attractors is another track which, to me, epitomizes what HTDA should be but aren’t. 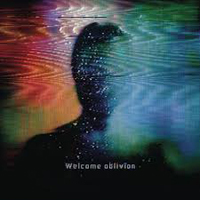 It’s unfortunate because Welcome Oblivion starts to justify itself at this point in the album but the remaining tracks return to the previous form and fail to deliver. Reznor fans may want the album to complete their collection. Mariqueen fans (do those exist?) may do so as well. Overall, besides the 3 songs in the middle, and while not being as bad as An Omen, everything else is just forgettable.